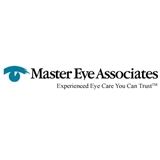 Master Eye Associates-Washington Heights (Houston) - Book Appointment Online! Our mission is to provide excellent eye care that is personalized to your needs. Life can be busy sometimes so that's why we are open 6 days a week to fit your schedule. We are conveniently located next to VisionWorks which carries many options for your glasses and contact lens needs.